The roots of Corporate Social Responsibility (CSR) lie in the sensitivity to environmental and social sustainability. This sensitivity obviously includes corporate managers and must be developed throughout their education. 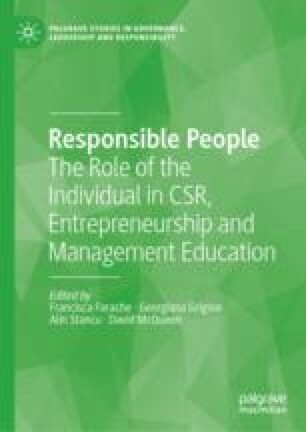 This paper focuses on how to develop the sensitivity of business students to sustainability through an analysis of literary fiction. Literature is an excellent source for being confronted with human feelings and attitudes. The central goal is to associate human situations with the outcomes of cool calculations, and, furthermore, to relate them to behavioral finance. With this aim, this paper analyses two plays: Shakespeare’s The Merchant of Venice and Ibsen’s The Wild Duck. The Merchant of Venice presents an interesting interweaving of financial and social sustainability. We find in it an unregulated financial system in which lenders can freely decide the clauses of the contracts. Turning to the social side, the play shows a society dominated by the male of a dominant social class, against whom the racial and religious outcast Shylock, a Jew, plans revenge; while, in different ways, women try to overcome their secondary social role. After class discussions, students should be able to answer questions like: which social consequences do the lack of a fair financial regulation foster? How do pride, hate, and revenge create a barrier to social progress? The Wild Duck, in turn, can be taken as a metaphor of how humans cannot live confronted with nature. The environmental outrage (in reaction to the cutting down of the forest) that pervades the play and the tragedy that it creates are analyzed as the result of egotist management that puts aside environment and society. The Old Ekland’s last sentence, the forest has taken its revenge, summarizes the failure of men going against nature. The authors thank three anonymous referees and the editors for their valuable comments. The usual disclaimer applies. Dunne, D. 2014. ‘O, My Ducats! O, My Daughter!’ The Economics of Love in The Merchant of Venice. Accessed at 23 May 2018. http://2014.playingshakespeare.org/o-my-ducatso-my-daughter-the-economics-of-love-in-the-merchant-of-venice. Nünning, V. 2017. The Affective Value of Fiction. Writing Emotions, 29–54. https://doi.org/10.2307/j.ctv1wxt3t.5.